German people have always been known for their love to functionality, efficiency and quality. 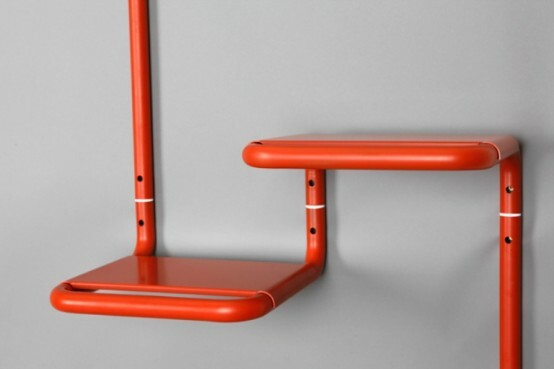 Floor 95 by Mark Brauns is a shelf and a coat rack in one and is characterized by the above mentioned features. The pipe-like construction is made of steel. 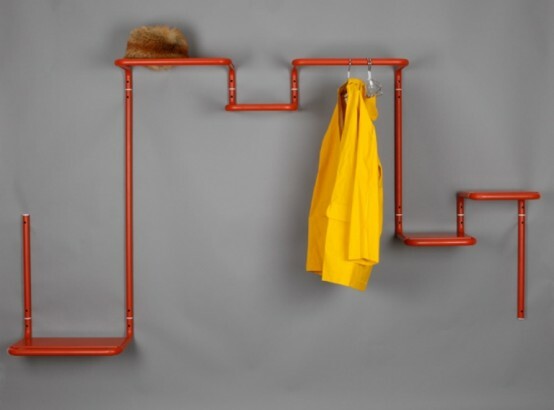 The idea is very interesting: a long pipe with several shelves where you can hang your coats as you like. The piece is functional and space-efficient – it wouldn’t take much space in your hall but it can accommodate many things. The design is modern and industrial, bright red color would attract attention. If you have a hall in modern or industrial design and want something small and space-saving – this piece is for you.